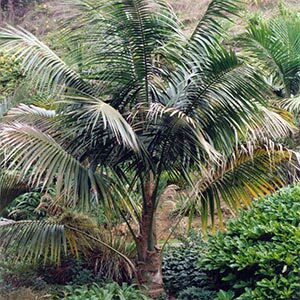 A handsome tall growing palm with slightly drooping pendulous fronds. Excellent for Auckland gardens Hardy to most soils prefers well drained.Coastal Protect from frost when young. Evergreen. 3x2m.